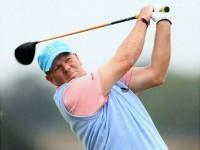 It’s quite a rare feat for a golfer to have golfed with so many current and former presidents that he could rank them. 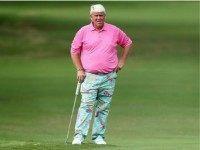 That being said, John Daly is a pretty rare golfer. 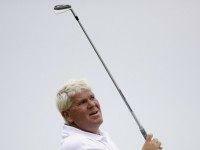 Two-time Major Championship winner John Daly defended Donald Trump from LPGA golfer Brittany Lincicome, who insulted the president in an interview discussing the Women’s U.S. Open to be held this week at Trump National in Bedminster, New Jersey. 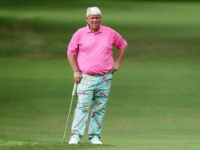 The “Grip it and Rip it” guy, John Daly, took the time to rip anti-Trump Protesters, Democrats, and Hillary Clinton this week at a pre-tournament news conference. 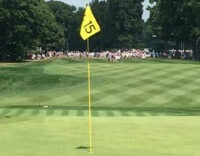 The raucous, sunbaked crowd at Baltusrol saw Robert Streb put on a show with a major championship record 63 vaulting him into a tie for the lead heading into the weekend at the PGA Championship. 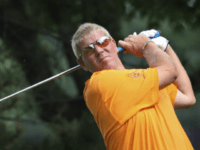 John Daly, no stranger to adversity, proved miraculously resilient by teeing it up on Sunday at Deerfield Country Club only 24 hours after passing out on the same course with a collapsed lung. 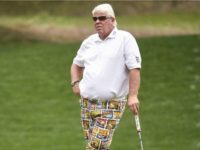 John Daly, a five-time winner on the PGA Tour and owner of two major championships—1991’s PGA and 1995’s British Open—long ago made a reputation for being not only one of the game’s longest hitters, but also one of the games hardest drinkers.